Have you ever seen something for the first time and said--yes! With NYR Organic, that is exactly how I felt. 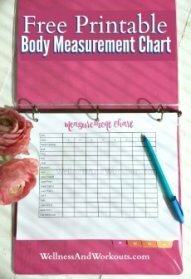 I became convinced of the need to take more care about the personal care items we use on our skin while we began the GAPS Diet a little over 2 1/2 years ago. Trying to find items that are both safe *and* effective has felt like knocking my head against a brick wall. But not anymore. Once I got the chance to try some samples, the quality of the products absolutely blew me away. I have never been so excited to wash and moisturize my face! I first heard of NYR Organic on a very special day--my husband’s and my 20th wedding anniversary. My husband was supposedly working that day, but he surprised me in the late morning by bursting through the front door with a dozen roses. He took me out on a wonderful, romantic dinner date, and as we drove home, we stopped to get gas. As I sat in the car waiting for him, I picked up my phone and saw a post from a blogger in an online group we both participate in. In her blog post, she announced that she had just signed up with the company as a consultant. She wrote about how she had been using the products for a year, and how much she liked using them. She wrote about the history of the company, how it had begun as a little brick and mortar shop in London back in 1981. How it has been at the forefront of safe, natural organic skincare and essential oils in the UK and beyond for over 30 years. I was instantly drawn in, and knew I wanted to learn more about becoming a consultant. (You can watch me open my consultant kit on video here). Finally, a company that really cares about safe ingredients! The thing that really clinched my interest, (apart from being captivated by the look of the cute cobalt blue glass jars) was when she discussed the company’s high standards for safe ingredients. You see, like I mentioned above, our family recently completed 2 1/2 years on the GAPS Diet. One important component of the diet is to stop using personal care products that contain toxic ingredients on our bodies. Our skin is our largest organ, and the things we apply to it sink in and eventually enter our bloodstream. As hard as it was for us to make the necessary changes in our foods for the diet to work effectively, I think this aspect of ditching the typical unhealthy products and trying to find decent, healthful replacements that really work has been much harder. As much as I love coconut oil, it really just doesn’t cut it as a facial moisturizer for me. Once it sinks in, after just a few minutes, the skin on my face returns to its usual dry, flaky texture. So, when my friend offered to send me some samples of the NYR Organic products, I gladly said “yes!” and when they arrived, and I first tried them, well, it is hard for me to put into words how much I absolutely LOVED them. Skincare using essential oils smells Amazing! The first thing that blew me away was the beautiful scent of all the samples. I have had times in my life when I have been chemically sensitive, and synthetic perfumes and air fresheners still smell very bad to me. Thankfully they don’t make me feel instantly sick anymore. But I don’t like them, and don’t want to apply them to any part of my body. But when I tore open the sample of rose oil, and inhaled, I felt like I was smelling one of the fragrant roses in our front yard. The smell was so clean, fresh and pure. It left me feeling exhilarated. NYR Organic was the first certified organic health and beauty company in the U.K. They have the largest range of certified organic health and beauty products. They have been in business for over 30 years--they know what they are doing! NYR Organic started as Neals Yard Remedies in 1981, and from the start, they grew and distilled their own top quality essential oils to use in their products. 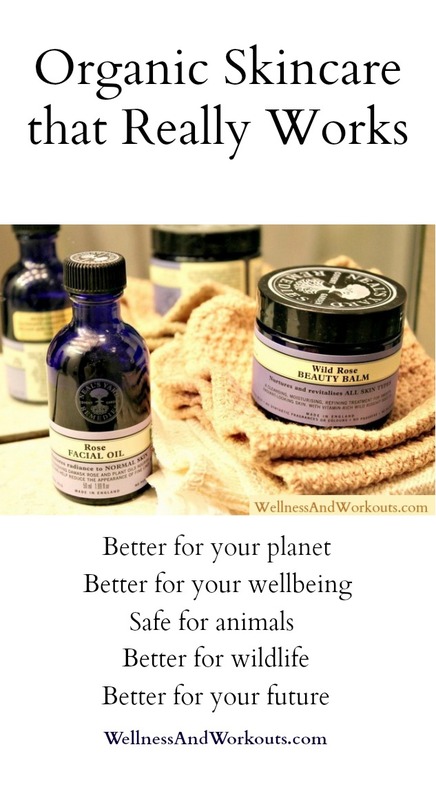 Neals Yard Remedies has the largest selection of certified organic essential oils available from one company. Which is saying a lot, as the requirements for organic certification in Europe and the UK are much more strict than here in the US. They are expanding their product line of essential oils in the US more each year. They are not a detached broker for essential oils, as many companies are, instead they grow the plants themselves in the optimal locations for each plant worldwide, or partner very closely with the farmers who grow for them. They can trace every product’s herbal ingredients back to the actual farms where they are grown. They closely monitor and test every batch of essential oils multiple times throughout the production process. There is no possible way they could more closely supervise the development of their essential oils to ensure the highest quality. While they do not recommend internal use without supervision from a healthcare practitioner, oils from the farms they use are prescribed by MD/aromatherapists in France, with fantastic results. All of their products are formulated with care, avoiding high risk and controversial chemical ingredients found in most mainline brands, and even some of the "healthy" looking brands found in the stores. The company has won awards from the EWG/Skin Deep Database and other health organizations for their high quality, safe products. The awards just keep rolling in. Fun to use, they make great gifts! Their products are enjoyable to use yourself, and also make great gifts for your mother, father, daughters, husband, wife, teachers or anyone else you care about. Please visit my NYR Organic website and browse around. Be sure to check out this month's specials. Register on my site as a customer, and place an order for the products that interest you. When you get to the order checkout page, please click "process order now," to complete your order online. If you are like me, and want everything wholesale, plus earn a little when you tell your friends about NYR Organic, please email me with any questions you may have about joining as a consultant. This month, the company has a special offer for new people who sign up as consultants: be sure to click over and see the current offer! There are no auto-ship requirements or burdensome sales minimums (just 100 in sales or purchases per year) to keep active and continue to receive your discount. Yes, here I am, stepping way outside my comfort zone in this video to show you the wonderful things that come in the limited-time Frankincense kit. But I want you to see this for yourself. It is such an amazing deal! Have you been looking for healthier, better quality products for yourself or your family? Are you excited about supporting a company that is mindful about the impact they have on the environment? Please contact me with any questions you may have. You may use the contact form on this site, or send me a message through my Facebook page (I often see the messages to my Facebook page the soonest). Of course you may always leave a comment, below. Have you felt frustrated, too, about all the risky ingredients in most personal care products? Please tell me in the comments, below!